Harbourtown Real Estate is the ‘oldest’ broker in Bonaire. Our multilingual staff has a thorough knowledge of the market to ensure you to always buy or sell your home with a positive feeling. And of course, with all the service that comes with it! 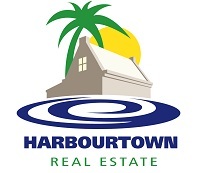 Harbourtown Real Estate has become a well-known broker in the past 30 years. We also offer commercial real estate and long-term and holiday rentals and management. Step into our office at the Kaya L. D. Gerharts 20, we are happy to assist.